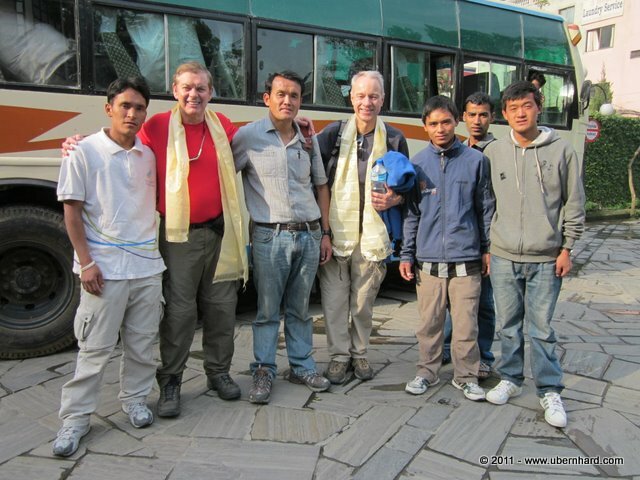 We left Kathmandu around 8:00 am on April 9. All our expedition equipment was loaded into an old TATA bus and at the end there were only a few seats left for the expedition team: Four Sherpas, Jim and I. It was an exciting moment. 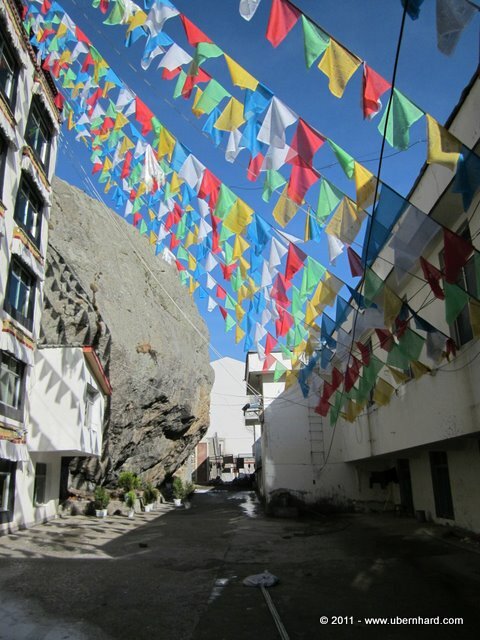 The road in Nepal was very treacherous at times and it took us about a four hours to drive to the Tibetan border. 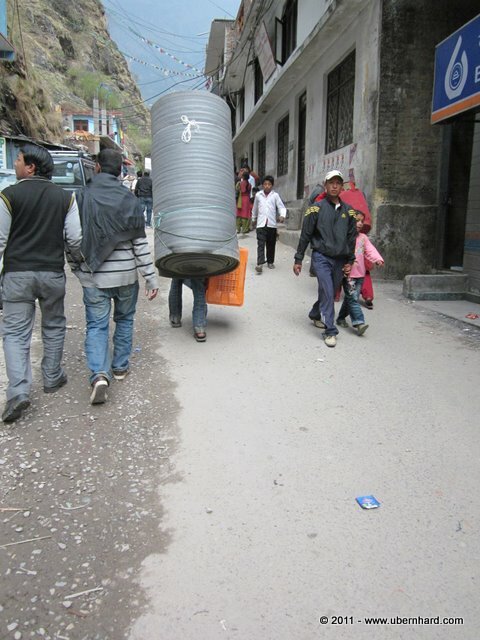 Once we arrived in the border town of Kodari, all our equipment had to be moved by porters from the Nepali side to the Tibetan side. 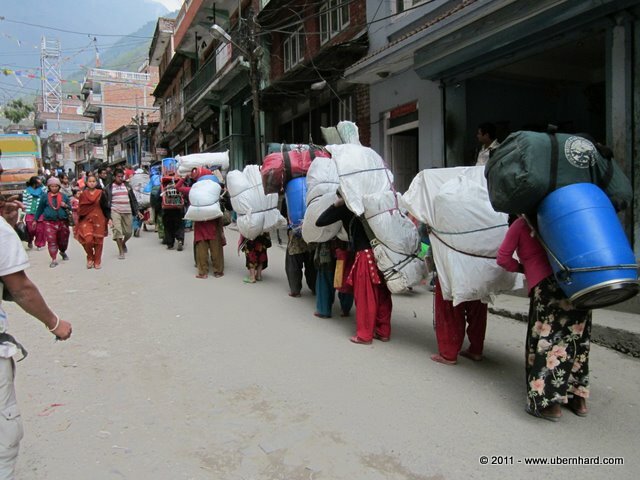 It was shocking for me to see how much these porters would carry, and most of them were women! Passing the customs was another adventure. 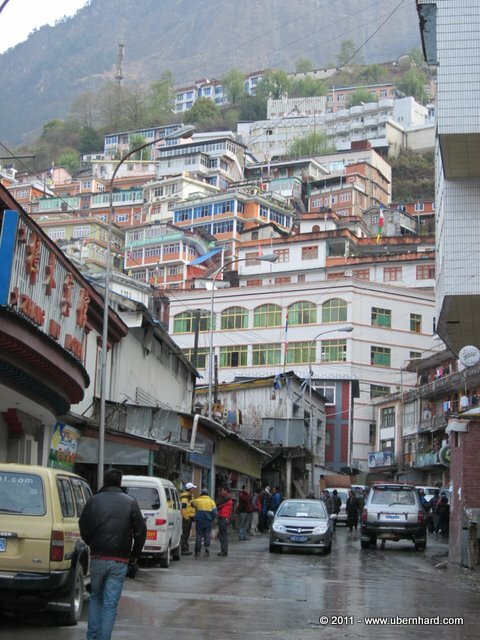 The Chinese custom officers checked every bag and would even take Tibetan travel guides away from people. 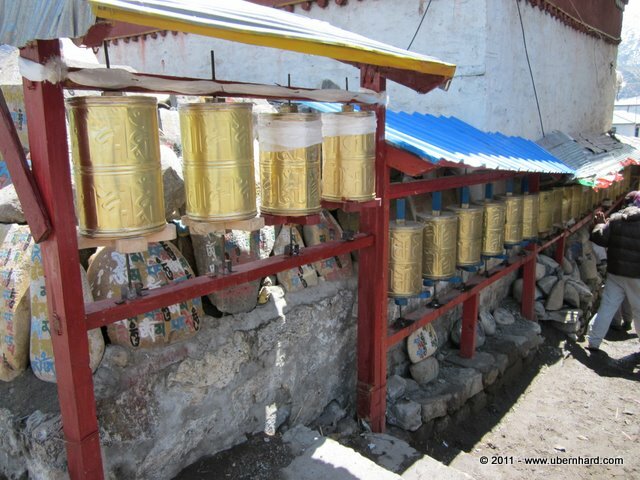 At that point the best thing was to respect every decision made by customs and focus on our goal: Everest. 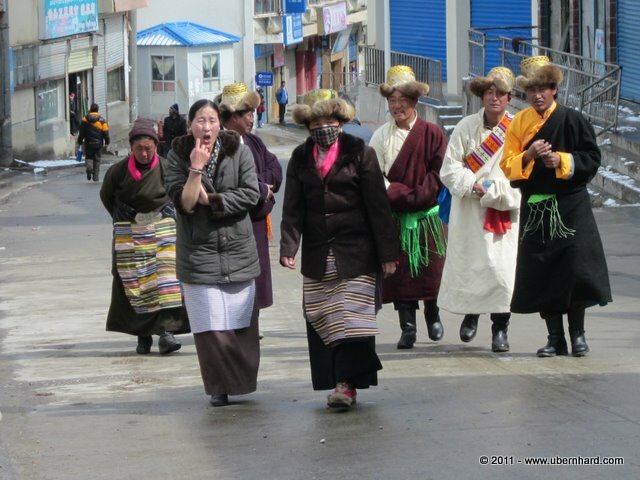 Once the equipment had been loaded into a Tibetan truck, we drove in a small bus to Jangmo, the first town on the Tibetan side, and spent the night there in a hotel. 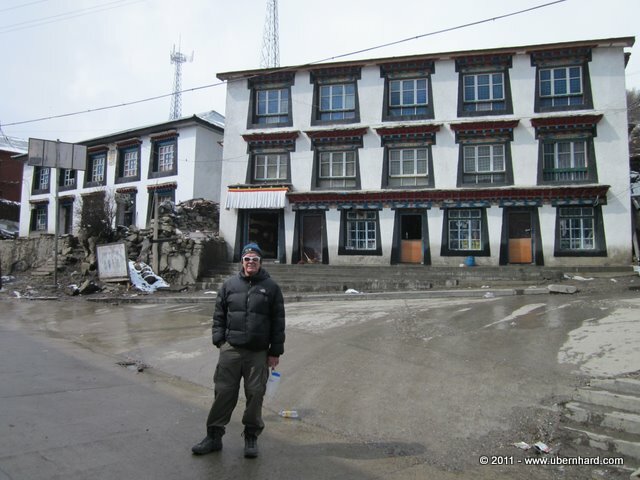 The next morning, on April 10, we drove on a very good road to Nyalam, at 3,750m/12,300ft. 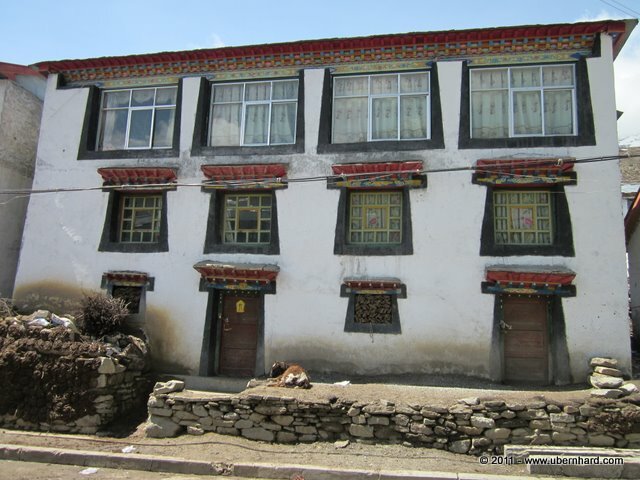 Nyalam is a small high altitude Tibetan town and we stayed there for two nights. The reason for this longer stay was acclimatization. On the first day we just explored the town of Nyalam and relaxed. The next morning we did a short acclimatization hike up to about 4,600m/15,200ft. 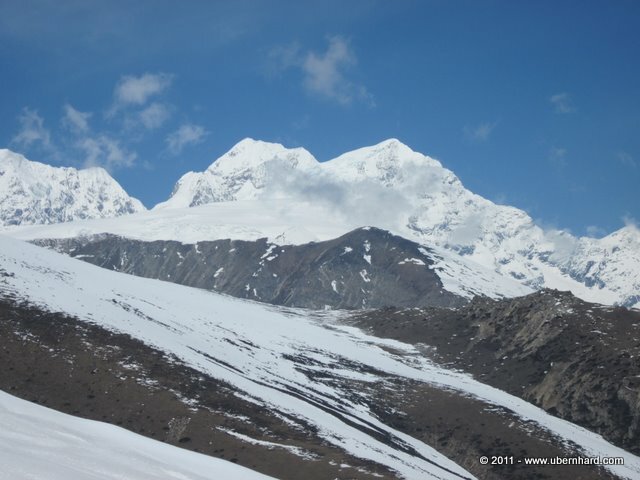 It was a beautiful view from that altitude and we were able to see our first 8,000m peak, Shishapangma. This was an exciting moment!